Nagoya is one of Japan’s most cosmopolitan cities that is often overlooked as just a stop on the Shinkansen (bullet train) for many travelling from Tokyo to Kyoto. Getting off that Shinkansen and exploring all that this amazing city has to offer is a rewarding experience. Nagoya has many famous attractions to entice the keen traveller, including Nagoya Castle (one of Japan’s Three Famous Castles), Atsuta Jingu (one of Japan’s most important Shinto shrines), and Osu Kannon Temple (a popular Buddhist temple in the heart of the city). Once you have visited these fascinating places and have worked up an appetite this is where Nagoya will take your travel experience to the next level with its mouth-watering food. Nagoya is home to arguably some of Japan’s best food. It has always been a popular destination for people in the know with some of the country’s best and most interesting culinary delights. The following is my top 5 must try food in Nagoya. Bon Appétit! 1. 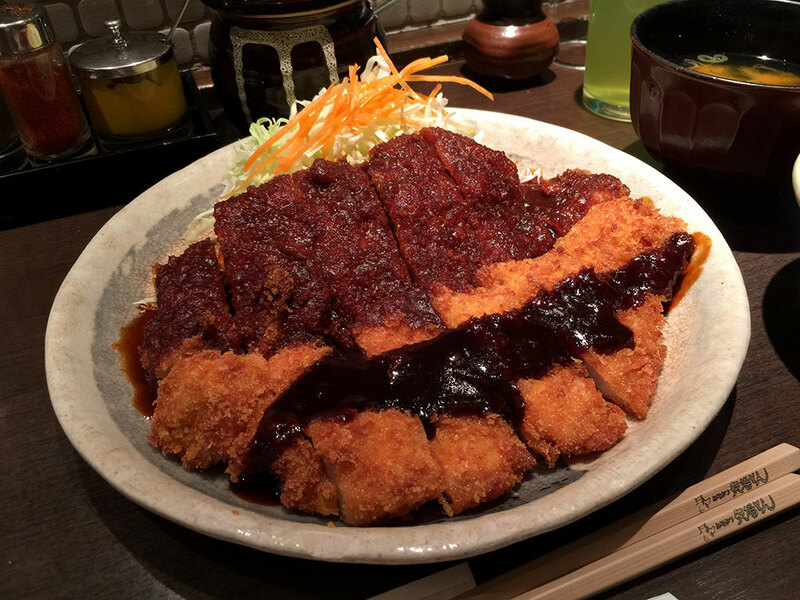 Miso Katsu (みそかつ) – If I could choose only one dish to have before I leave Japan, this would be it. Deep fried pork cutlet topped with a thick miso sauce. This is Nagoya’s version of Tonkatsu done the way it should be done. The thick miso sauce is created using aka-miso (red miso). I recommend trying the Miso Katsu at Yabaton a chain store that specialises in this delicious dish. 2. Tebasaki (手羽先) – Deep fried spicy chicken wings. These are the perfect accompaniment to a cold beer or sake at one of Nagoya’s many izakaya (Japanese style pub). 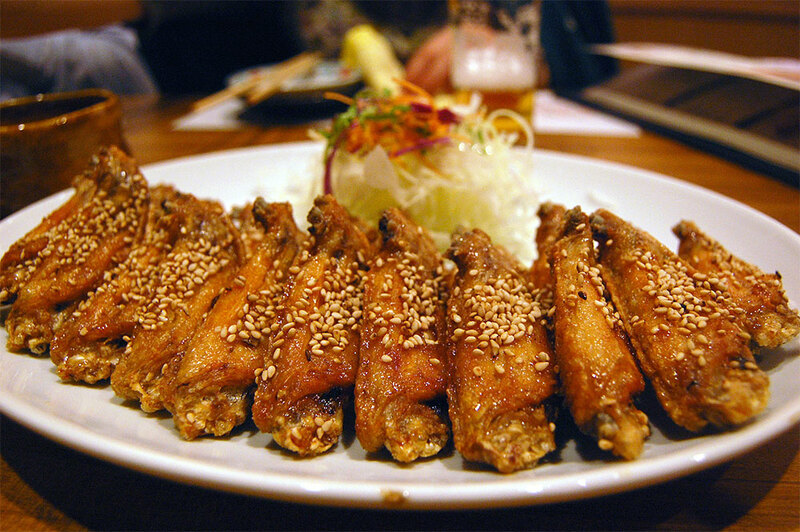 I recommend trying the Tebasaki at an izakaya called Furaibo, which spices its chicken wings the good old fashioned way. There is also a special local way to eat Tebasaki where the meat is scraped off in one smooth swipe, but I have yet to master this skill. Keep an eye out on the local patrons and see if you can manage to do it. 3. Miso Nikomi Udon (味噌煮込みうどん) – Yes, that’s right! Miso once again!! It is regarded as Nagoya’s ‘Soul Food’ and is found in many of its dishes. This is an udon that’s stewed in a miso based broth with hatcho-miso, a salty red miso paste made from fermented soy beans. Popular ingredients in the dish include chicken, egg, green onion, shiitake mushrooms and aburaage (deep fried tofu). 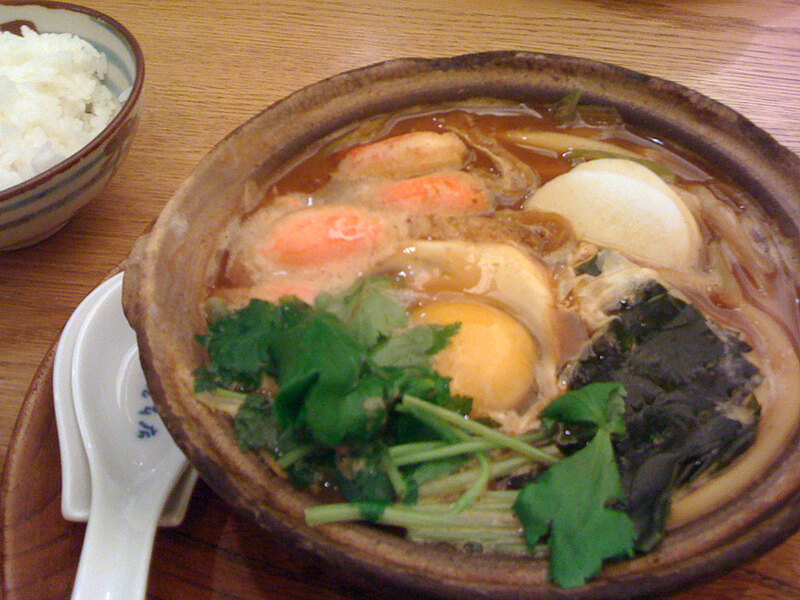 A distinctive feature of this dish is that it is served piping-hot in a small earthenware pot (nabe). 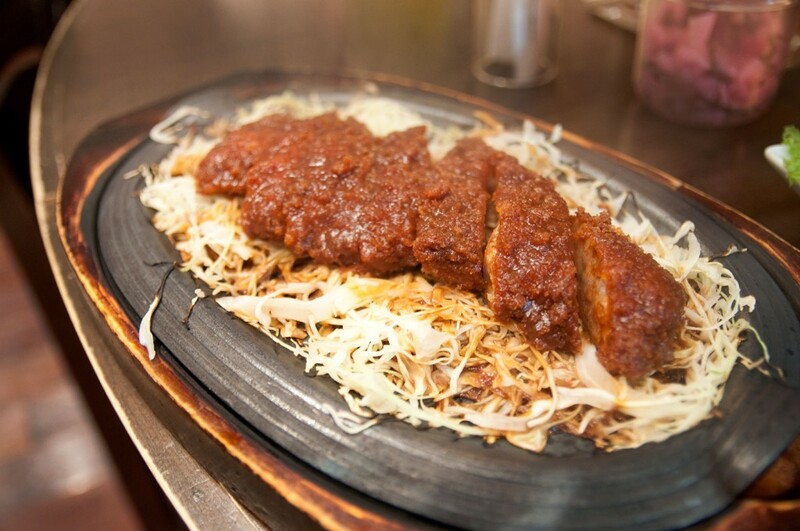 Many people regard it as comfort food and it can be found all over Nagoya. One of the best places to try Miso Nikomi Udon is at the famed Yamamotoya, one of Nagoya’s oldest and best tasting restaurants. 4. 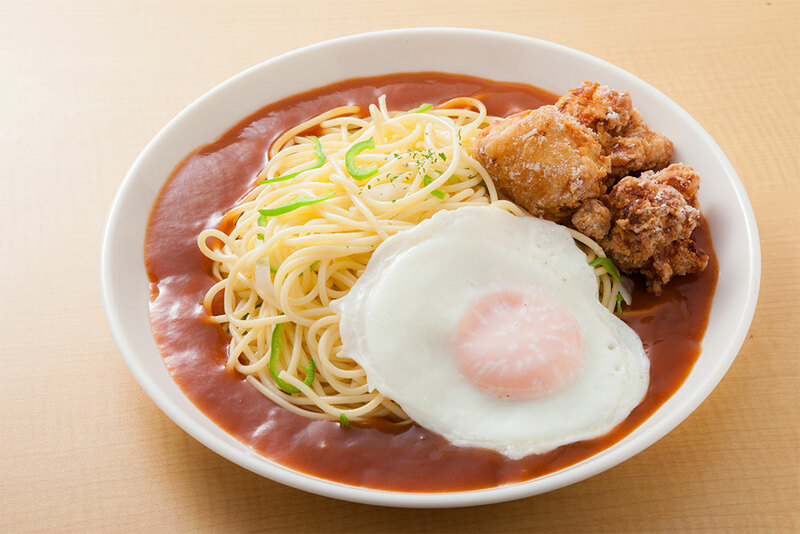 Ankake Spaghetti (あんかけスパゲッティ）- Unique in its own right and possibly Nagoya’s most famous and interesting dish. This pasta dish features spaghetti topped with a spicy and sticky sauce. Thick spaghetti noodles are pan fried and topped with colourful vegetables and red Vienna sausages. I recommend trying this dish at Spaghetti House Yokoi. 5. 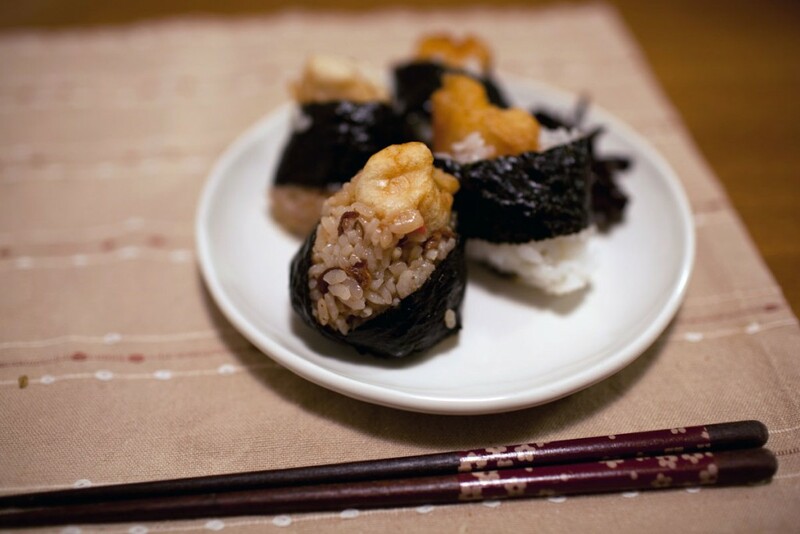 Tenmusu (天むす) – A rice ball containing shrimp tempura. A simple dish that is the perfect fast food or meal on the run. 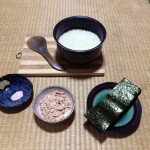 Tenmusu is a famous local speciality that has its origin in Tsu City in Mie Prefecture. I recommend the Tenmusu at Meibutsu Tenmusu Senju in the Osu area of Nagoya. Try one after visiting the famous Osu Kannon Temple. If I have made your mouth-water with these enticing dishes then I have successfully done my job. 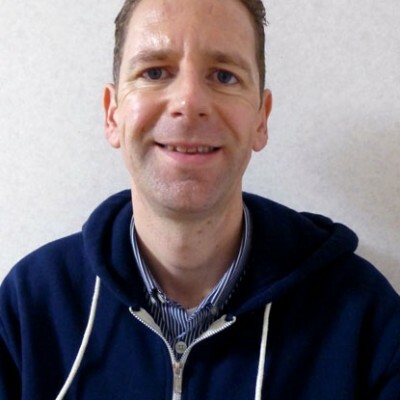 I hope you will take that step of the Shinkansen the next time you are travelling in Japan and arrive in Nagoya. I promise you won’t be disappointed. 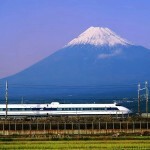 Nagoya is a short 2 hour Shinkansen ride from Tokyo on the JR Tokaido Shinkansen Line. I visited the Hatcho Miso “factory” a few years ago (can you really call it a factory? )–the company president is a trip, and the miso is amazing! It’s the only red miso I’ll eat. Going to Nagoya next month! Can’t wait to try these! Nice! I hope you enjoy them as well as the amazing sights of Nagoya. The easy diy way to make perfect triangle onigiri. Got a craving for something other than sushi or ramen? 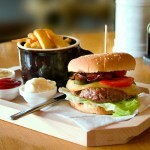 Try these delicious international restaurants.